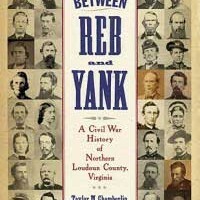 Between Reb and Yank: A Civil War History of Northern Loudoun County, Virginia. $52.50 plus $5 shipping. Includes tax. This 270-page book is filled with photographs, drawings and charts that illustrate the surprising diversity and undeniable skill of local chair manufacturers. While the reader will be immediately captivated by the beauty of the objects that are pictured in this volume, it is very much a “hands on” manual, specifically designed to enable owners of local chairs, rockers and other “specialty pieces” to identify what they have and who made them. 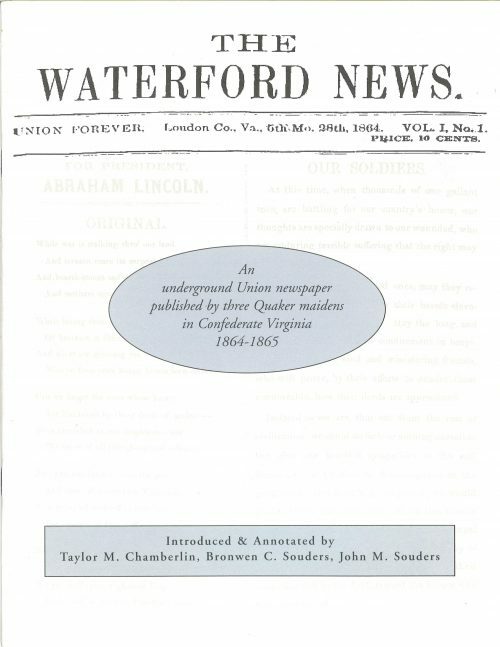 A booklet of eight original Civil War era newspaper issues written in Waterford, introduced and annotated by Taylor M. Chamberlin, Bronwen C. Souders, and John M. Souders. 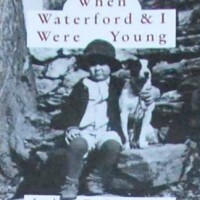 This fascinating account of Waterford’s Quakers during the Civil War came from a box of old letters and journals that had belonged to Mary Frances Dutton Steer – generously donated to the Waterford Foundation by her granddaughter, Miss Phebe Haviland Steer of California. Inside this miraculous box were found Grandmother Mollie Dutton Steer’s wartime letters, and a large volume of other writings of family and friends from the early 19th century to the end of her life. Among those treasures was Rebecca Williams’s poignant diary of the war years. In this his final book, beloved Northern Virginia historian John Divine looks back affectionately at the village of his youth. Waterford, Virginia-now a National Historic Landmark-was a wonderful place for a lively boy growing up in the early 1900s. The town was a yeasty blend of farmers and merchants, blacksmiths and cobblers, freed slaves and Civil War veterans, sober Quakers and village drunks. Young John knew them all and loved their stories. He shares them here-warts and all-with warmth and wit.